During the past three decades we have gone from knowing about a handful of planets orbiting our sun to identifying thousands of planets orbiting every type of star in solar systems that may or may not look like our own. To discover all the thousands of worlds in the universe, astronomers have had to invent more precise “eyes” than ever before. Learn about the new planets we have discovered, the new instruments we have had to construct, and the promise that the future of searching for exoplanets holds. The heavens above us are constantly changing with the birth and death of stars, planets and galaxies. Join us to hear how Galactic Archaeology, a branch of astronomy that studies the stellar fossil records in the Milky Way, aims to uncover the history of our own galaxy and the very earliest times of the Universe. Join Keith Davis, director of the Digital Visualization Theater, on a virtual journey through the universe to explore the dark world of black holes – and how we know they exist. Energy E3 is a longstanding program focused on collaborating with local experts in low -to middle-income countries to enable energy education, engineering design, and entrepreneurship. After running for 10 years in Uganda, the program has begun in Rwanda, Nigeria, and Haiti. Join us as Abigail Mechtenberg, who created and launched the Energy E3 program, explains the program and demonstrates energy prototypes, shares types of sustainable electricity-generating devices, and describes the expertise needed to build microgrids locally. Many physics concepts like relativity and quantum mechanics emerged as theories during the mid 19th to the late 20th century. Join us as we discuss the evolution of astrophysics from this period and how that enabled us to develop an understanding of energy production in stars and the end point of stellar evolution. Put some microbes in a puddle, and in a few billion years they might turn into a rainforest or a coral reef. Over time, individual cells form multicellular organisms, and organisms diversify and form ecological communities. This spectacular mixing appears inevitable and irreversible — and just as an ink droplet dissolves in water, this mixing occurs with order and directionality. Mathematical models describe how such interdependent structures form, and how they fall apart. Learn how this applies to evolution of aging and cancer, evolution of social behavior, and the evolution of ecological communities. Due to the predicted weather and associated scheduled closure of the University, the talk ‘The Universe in a Box’ on Tuesday 29th January has been cancelled. Thank you for your understanding and stay safe during the next few days. Galaxies are complicated beasts, with gravity, plasma physics, stars, black holes, and many other things all interacting with each other over a long period of time. Because of this complexity, the theoretical study of galaxy formation is a tremendous challenge. To do so, we must use computers – specifically, the biggest supercomputers in the world – in order to make meaningful progress. In this talk, learn how we use supercomputers to study galaxies, and see many examples of the types of simulations used to learn about the universe. Over the past few months, numerous stories have hit the headlines about discoveries within our own Solar System. Join Dr. Jonathan Crass as he presents and explains some of the recent news and what it means for our knowledge of our local astronomical neighborhood. Join us for a demo-filled discovery of optics and fire! Is it magic… or can we explain it with physics? You’ll have to see to believe. Join us for this FREE (but ticketed) event for ages 8+! Time and space are not nearly as constant as we perceive them to be. If we move at astronomical speeds, this perception of a constant time would quickly fall apart, resulting in science-fiction-like scenarios. Join us to learn how special relativity helps us avoid aging, prevents seemingly simultaneous events from occurring at the same time, and affects our everyday lives. The universe has changed and evolved since the beginning of time. Stars are born and stars die, and give us the night sky we see today. But while change within the universe is constant, there is only one quantity which always increases: disorder. Join us as we delve into one of the most challenging concepts of physics – the idea of entropy and disorder. Discover how it affects astronomical objects including black holes, life on Earth, and how it will ultimately define the end of the universe. During the past few years, physicists have finally completed their century-long program of building a fundamental and unified picture of all known particles found in nature, only to find that key pieces are still missing. In this talk, we will show how our world works at its most fundamental levels, where the gaping holes in our knowledge remain, and how we plan to fill many of these holes in this new century. Ostriker, a member and former treasurer of the National Academy of Sciences, is a leading researcher in theoretical astrophysics and numerical cosmology. He has won several of the field’s most prestigious awards, including the Gruber Cosmology Prize, the James Craig Watson Medal, the Catherine Wolfe Bruce Gold Medal, the Royal Astronomical Society Gold Medal, and the United States National Medal of Science. He is also the author of Heart of Darkness: Unraveling the Mysteries of the Invisible Universe. Dark matter is all around us; it fills the universe and yet we cannot see it, touch it or even determine what it is. Astronomers the world over are still trying to explain its elusive presence–a presence with nothing except its weight to prove its existence. Learn about past and recent advancements in our understanding of dark matter and dark energy, and how these mysterious components contribute to the expansion of the universe. The physical world around us is full of symmetry, which scientists use to describe the universe using laws of conservation. Discovered by Emmy Noether in the early 20th century, the theory led to one of the most important ideas in physics today: the conservation of energy. This describes how no energy is lost from a system – it simply interchanges from one form to another. Mother Teresa stated that poverty is a result of not sharing resources. Many parts of the world do not have access to useful energy, leading to energy poverty. In this talk, we discuss the physics of energy conservation, describe the use of energy resources, and detail the challenges of creating useful forms for society. Learn about programs being undertaken at Notre Dame and beyond to address world-wide energy poverty, as we strive to ensure energy is available to all. Energy demonstrations will take place in the galleria after the talk. Also, students from the Energy and Sustainable Development with Design (ESDD) lab will present their research from Uganda, Rwanda, Nigeria, and Haiti, and describe a research project with Harvard Medical School on Electricity and Global Health Care. We now know, at least statistically, that we live in a Galaxy full of billions of planets, with more being discovered every day. But the novelty of adding another planet to our rapidly growing collection is understandably wearing off. Will we ever get an answer to the really big questions? Are any of these planets inhabited? Are any of those inhabitants intelligent? I will review the techniques astronomers use to find and characterize nearby exoplanets. Then, I will discuss potential avenues for identifying life on these newly-discovered Galactic neighbors. We will explore the difference between discovering intelligent extraterrestrials and more simple life, and the importance of each. Movies versus Astronomy – Science Fact or Science Fiction? Space has been used as the backdrop for some of the most thrilling and successful movies, recently including Gravity, Interstellar and The Martian. Join us as we take a look at these movies and question just how realistic they are: true science fact or pure science fiction? Join us to stargaze through the 32″ Sarah L. Krizmanich Telescope at Jordan Hall of Science. Free but tickets are limited! This event runs as part of the More Summertime Stargazing Event. If this event is fully booked, check for others on the same date in our event list! There will also be limited tickets available on the night during the More Summertime Stargazing event on a first come, first served basis. This event is dependent upon the weather – if you can’t see the stars, neither can our telescopes! Visit nduniverse.org for any last minute announcements and more information. Following the huge demand shown for our Summertime Stargazing event, join us as again as we look to the skies to see the planets, stars and nebulae in the night sky at More Summertime Stargazing! Whether it’s telescopes on the lawn outside Jordan Hall, looking through a fleet or roof top telescopes at the observatory or hearing more about astronomy, join us as we explore the heavens above us! Great for all ages and completely free! No tickets required! As part of this event, we will be a offering additional FREE but ticketed stargazing using the 32″ Sarah L. Krizmanich Telescope, one of the largest telescopes in Indiana! Get your free tickets now on our events page [If there are no specific timed events listed this means all advance tickets are SOLD OUT]. There will be limited tickets also available on the night on a first come, first served basis. Join us on the rooftop observatory at Jordan Hall of Science to gaze at the stars on a summer evening. Astrophysics faculty and graduate students will be on hand to view stars, nebulae and galaxies using telescopes including the 32” Sarah L. Krizmanich Telescope, one of the largest telescopes in Indiana. Free and open to the public! Great for all ages! This event is dependent upon weather with a cloud/rain date of Friday 13th July. Visit nduniverse.org for any last minute announcements and more information. Have you ever wondered what goes through the mind of a scientist? How do they think about the world around us? And how does that allow them to build experiments to study the Universe? Join the ExPAND physics demo team as they delve into how scientists work and think through demonstrations, experiments and tests! Find out if science can really predict everything and what happens when you don’t get the results that you expect! Benjamin Franklin has a legacy which best recognizes him as being one of the Founding Fathers. However, his legacy is far more extensive covering numerous areas – he was a strong supporter of the use of paper money, printing it himself and using his professional network of printers to create clients for his monetary designs and materials. He has shaped the money we use today. Join us as we use the latest scientific tools to study the historic money of Benjamin Franklin’s time held within the collections of Hesburgh Libraries at the University of Notre Dame. We’ll unlock the ingenious techniques he invented to safeguard his bills’ integrity and explore the composition of papers, additives, and inks used in printing paper bills. We’ll also discuss Franklin’s innovative ideas and his extraordinary ability to persuade the public in the creation of practical solutions for the common good! Since their discovery in 1967, pulsars have have become one of the most important tools in observational astrophysics, providing great insight into problems such the physics of extreme electric and magnetic fields, general relativity, the structure of our galaxy, and the search for exoplanets. In my talk I will tell the story of how pulsars were found, what they are, how we think they work, and the ways they are used to explore important questions in astrophysics. At its core, science is just one way of learning about the world around us. Scientific thinking, and the scientific method can be applied in almost any situation to uncover truths. In this talk, we’ll explore topics such as troubleshooting home electronics, evaluating marketing claims, and how often you already use scientific thinking in your daily life. We’ll also discuss when to be skeptical of scientists and research you see in the media. Time And Relative Dimension In Space: Can We Build a Time Machine? Strange things happen when one travels very fast or gets close to a massive object. Space and time bend, causing time to go slower and lengths to contract. Can we use these properties to build a time machine? In the fall of 2017, a rocky visitor was discovered passing through our Solar System. ‘Oumuamua is the first asteroid we’ve discovered from outside our own planetary system, and it won’t stick around. It’s currently on a path that will take it beyond the Solar System forever. With barely any other information than its trajectory, astronomers declared it an “interstellar” object – but how did they know? Join us as Dr. Keith Davis takes us through a discussion of the orbits, gravity, and how a few simple measurements can convince us that ‘Oumuamua is from beyond the edges of our own Solar System. “What’s next in astronomy?” Join us as we look back at what we’ve discovered in the last decade to see just how quickly astronomy is moving forward and what are the big remaining questions we need to solve. We’ll discuss the next generation of tools currently under construction to answer questions including ‘Are we alone in the Universe?’, ‘How did we get here?’ and ‘Do we really understand how the Universe works’? From warp drives to generation ships, science fiction is rife with creative ways that humanity may end up travelling among the stars. In this talk we explore the feasibility of some of the more popular proposed methods and, assuming that they are possible, what the pros and cons of each may end up being. In this presentation, I’ll show a blitz of recent Hubble discoveries that have reshaped our understanding of what our place in the cosmos is. As Hubble continues to amaze us with its breathtaking imagery, it has also turned up new mysteries. To answer these, NASA is building the much more powerful James Webb Space Telescope, set to launch next year. With its 21 foot gold mirror, Webb will be our deepest space exploration vehicle and will trace our cosmic origins all the way back to the first stars and galaxies that seeded everything we have today. This incredible facility represents a new generation’s Hubble, and is about to usher in a new era of precision space astronomy. In this talk we’ll discover that antimatter is not just a figment of science fiction. It is very real, and more familiar than you might think. We’ll talk about why antimatter must exist, how it’s different than normal matter, and how we study it. It’s that time of year again, when the air gets cooler, the sounds of werewolves and ghosts draws nearer, and the physicists crawl out from their laboratories! Join the ExPAND physics demo team for a packed show with spooky science demos that are sure to rattle your bones and leave you mystified. A FREE (but ticketed) event! Please use the form on the event page to sign up for this event. This event is open to all ages, and feel free to wear your favorite costume! Where is everybody? For as long as humans have looked up at the stars in the night sky, we have wondered whether or not we are alone in the Universe. With an estimated number of Earth-like planets in our galaxy in the billions, the odds seem to favor the existence of many other civilizations, and if even a small fraction of these are sending out signals or colonizing among the stars, we should have detected their presence by now. But we haven’t. This unexpected silence is known as the Fermi Paradox, and in this talk I discuss potential solutions to this problem as well as the central question: how common is intelligent life in the Universe? Like many US cities, South Bend has a high number of children with blood lead levels above the threshold where public health intervention is recommended by CDC (Centers for Disease Control and Prevention). This current problem exists despite it being three decades since the removal of lead from gasoline and house paint. This leaves the outstanding question: where is this lead coming from? An interdisciplinary team of Notre Dame faculty and students is leading a study to understand the sources of environmental lead within homes and surrounding environments. This is an ongoing program which aims to identify sources of lead, inform and educate the wider community about this issue and help them reduce exposure to the lead for themselves and their families. Join us as leading members of this work present their current findings and future plans. This will be followed by a panel with local experts and community leaders to discuss how to address the issues of environmental lead in South Bend. Twenty years ago, the first planet outside our solar system was discovered, heralding a new era in the search for life beyond Earth. Join us as we explore the techniques used to discover these planets and what their discovery means for understanding our solar system. We’ll discuss both current and future instruments, how they are answering this question and what they aim to discover in the coming decade. How fast can you blink your eye, or clap your hands? Sure, one or two cups of coffee and a good night’s sleep might help speed things up — but the fact is that there are large-scale, ultrafast systems operating 24/7 on which our livelihoods and pensions depend, but in which there is no hope of real-time human intervention when things go wrong since they are limited only by the speed of light. In fact, the science of such systems is not well understood — in particular, the extreme events or ‘Black Swans’ which are like digital tsunamis. In this talk I present an explicit discussion of one such ultrafast electronic system which is closer to home than you might think. But I also describe how improving our understanding of this system can help our understanding of potentially all others. And this includes the most complex network system of them all — the human brain. A great event for all ages! Join Keith Davis, Ph.D., inside the Digital Visualization Theater to prepare for the Great American Eclipse! On August 21, 2017, the shadow of the moon will draw a path across the continental United States, from Oregon to South Carolina. See a simulation of the eclipse in Notre Dame’s unique 50-foot planetarium and digital theater. Learn about historically interesting eclipses and how the moon’s place in the solar system makes these events so spectacular. Discover how to view the eclipse safely, and receive free eclipse viewing glasses.The event is free, but tickets are required. Tickets are available at www.nduniverse.org/upcoming-talks/. We ask in consideration for others to please only book tickets for one of these events. We appreciate your understanding. If you receive a ‘no seats available’ message below, unfortunately this event is now full. There may still be seats available for other shows which can be booked here. Thank you for your understanding. Join us for another all-ages Our Universe Revealed, as we bring the unseen world of particles into focus through demonstrations and hands-on activities! A free event for all ages! No tickets required! We’ve all heard about nuclear energy, but how much do we really know about it? How much of what we see on the news is fact and fantasy? Is is safe, or dangerous? What kinds of nuclear energy are there? How, exactly does it work? Join us as we find out! This summer, Americans will get a rare treat: a spectacular view of a total solar eclipse. It will be an exciting opportunity to see a rare (by human standards) event in nature. For our ancestors, though, an eclipse was a portent of doom. Why were people so afraid when odd things happened in the sky? Why will most of us watching the eclipse this summer not be afraid? This talk will explore how events in space—eclipses, comets, and supernovae—have affected human history in order to answer these questions. From ancient eclipses turning the tide of battles to comets that helped overthrow kings, strange happenings in the skies changed our history in some big, and surprising, ways. Sitting in a quiet room, we can hear sounds that cause our eardrums to vibrate by less than the diameter of an atom. When bacteria have to decide if they are swimming in the right direction to find more food, they count every single molecule that arrives at their surface. In these examples, and many more, evolution has selected for mechanisms that operate near the limits of what is allowed by the laws of physics. This lecture will give a tour of these beautiful phenomena, from microscopic events inside a developing embryo to our own perception and decision making. While there are many ways to build a biological system that might work, there are many fewer ways to build one that can approach the physical limits. Perhaps, out of its complexity, life emerges as simpler, and more perfect, than we imagined. This talk is presented by Prof. William Bialek, the John Archibald Wheeler/Battelle Professor in Physics at Princeton University, and Visiting Presidential Professor of Physics at the Graduate Center of the City University of New York. Prof. Bialek joins us for this special Our Universe Revealed as the Notre Dame Phi Beta Kappa Visiting Scholar. Join us for a fun filled show as we explain physics we see all around us through demonstrations using fire and ice! A FREE (but ticketed) event for all ages! Please use the form on the event page to sign up for this event. If you receive a ‘no seats available’ message below, unfortunately this event is now full. There may still be seats available for other show at 6pm which can be booked here. Thank you for your understanding. If you receive a ‘no seats available’ message below, unfortunately this event is now full. There may still be seats available for other show at 7pm which can be booked here. Thank you for your understanding. How will the Earth change and when will the Earth come to an end? How will the Sun change and when will the Sun burn out. When and how will the Galaxy end? What will happen to the stars in the sky? What is the future of the universe: A big bounce, a big freeze, or a big rip? Will time itself come to an end? Prof. Mathews will describe a journey backward and forward through cosmic time as a means to explore these questions and provide some surprising answers. What is Dark Matter? Why do we need it? What it is made off? Can we detect it? In this talk I will try to answer these and other questions about a fundamental component of our Universe. The laws of physics can be thought of as a set of instructions on which the Universe runs. A good way to determine these instructions is to run them on a computer, essentially producing a synthetic universe, and then compare the outcome with the actual one. Unfortunately, for systems exceeding a handful of particles, the instructions become very difficult to follow, even with our best computers. For this reason, we look for “effective laws”, i.e. simplified instructions, that are a lot more easier to carry out but otherwise give the same outcome. Can we understand complex biological processes in the same way? 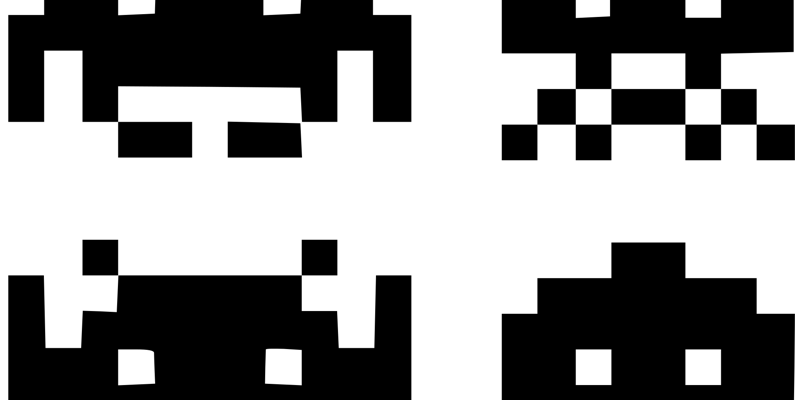 Can the complexity of life be described by a simple instruction set? What kind of instructions lead to self-replicating and evolving systems, and what others do not? Join us to find out! Join us for the return of two shows of our “explosive” all-ages Christmas spectacular, ‘Extremes of the Planets’. We bring the environments of the planets to Notre Dame allowing you to experience what it’s like on the surface of Mars and just how cold it is on Neptune. And let’s not forget about the inner planets where the sun bakes them to hotter than an oven! With demonstrations and discussion, join us for this FREE (but ticketed) event for all ages! Booking for this event has now closed – we may have a number of spaces available on the door for the second (7pm) show. These are first come, first served. Thank you for your understanding. There are an alarming number of news stories about “emerging” chemicals of concern in our environment, such as the recent drinking water contamination in Hoosick Falls, NY, or Flint, MI. In this talk we will discuss a few recent events that foreshadow a future where we are surrounded by chemicals of our own making, some of which are decidedly bad for our health. Using a new tool, an application of nuclear physics known as ion beam analysis, we will show how it is possible to rapidly assess hundreds of environmental samples a day, and to use this information to learn more about the environmental fate of these chemicals and their transport from our consumer products into the water we drink and into the food we eat. The variety of toxins studied with this method includes flame retardants, fluorinated surfactants and heavy metals, all of which have made their way from our consumer products into the environment, and recently into the primetime news. The science behind these chemicals of concern will be explained and our exciting foray into the world of environmental measurements with a particle accelerator will be described. Ankle length pants/skirt under clothing that covers the body and is easily removable. Closed-toe shoes with a substantial sole. If you wish to attend the tour, please adhere to the above requirements. 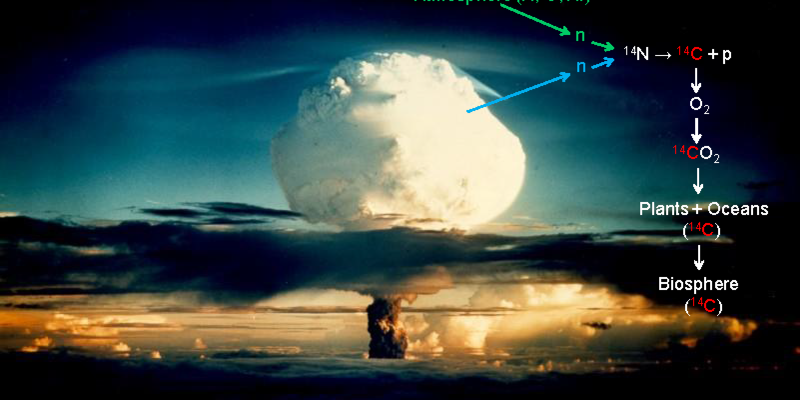 Nuclear weapons testing between 1952 and 1963 increased the 14C content in the atmosphere by 100 % over the natural level. After the Nuclear Test Ban Treaty in 1963, this 14C excess rapidly decreased through the CO2 cycle and has reached almost pre-nuclear levels today. During the last 50 years, the hydrosphere and biosphere, including humans, were thus ‘accidentally’ labeled with this rapidly changing 14C. The development of Accelerator Mass Spectrometry (AMS), that is the art of counting 14C atoms ‘one by one’, allows one to trace 14C in ever smaller sample sizes. This led to a variety of unique applications, among which the age determination of cells in the human brain is perhaps the most interesting one. The 14C bomb peak can also be used for forensic studies, to determine the death of a person, to discover frauds in precious pieces of art and illicit trading of ivory. Another important use is the study of the CO2 cycle itself, particularly pertaining to the sequestering of anthropogenic CO2 in ocean and soil. It is somewhat gratifying that the horror of nuclear weapons testing has also created some useful side effects after all. In nature, quite often the whole is smarter than the sum of its parts. Try to imagine a society of bees. Even if we understand the behavior of a single bee very well, we couldn’t predict how the society of bees actually functions on a larger scale. The term “emergence” refers to how the large scale characteristics appear as the unexpected result of the collective behavior of each unit. This phenomenon happens very often in all fields of science, whether it is physics, biology, economics or computer science. In this talk, we will examine how we understand electrons, ants and even cities. Join us for an evening of talks, demos and hands-on activities explaining physics phenomena in the Universe around us! Sink your hands into magnetic putty, experiment with color, light, and sound, create your very own bottled nebula and more! A free event for all ages! Everyone has probably heard of “Big Data”. How big is “Big”? We will explore the exponential increase in the data produced worldwide (Zetabytes, anyone? ), focused on some of the largest science projects and how their data is handled. We will also discuss efforts to preserve the knowledge behind the process that generates scientific results based on all of this data. This will lead us to a discussion of policy issues associated with Citizen Science and how ordinary people can access scientific data. Our understanding of the Universe today is driven by tools developed by astronomers to study the night sky. From the original telescopes of Galileo through to the largest telescopes today, technology has allowed us to discover how the Universe works. The new instruments installed on telescopes today allow us to see further from Earth and with more detail than ever before. In this talk, we explore the tools used by astronomers to study the night sky. See how astronomers at Notre Dame use some of the largest telescopes in the world and discover how they allow us to see the night-sky in exquisite detail. Find out about the new techniques which we use to search for gravitational waves to give us a whole new view of the Universe and learn what the next generations of telescopes will tell us about the Universe around us. Join us as Notre Dame astronomers take over Jordan Hall for an astronomy-fueled evening, including planetarium shows, live presentations, science craft projects, and hands-on demonstrations! A free event for all ages! The Hubble Space Telescope is one of humanity’s greatest scientific instruments. It is also one of our most beloved. This talk will describe the history of Hubble – from its inception and launch to its multiple upgrades by Shuttle astronauts – as well as its future. We will learn about how Hubble works, but we will also discuss the amazing scientific discoveries it has enabled. Superconductivity has fascinated and tantalized scientists for a century with its potential for applications, but nature’s rules of physics and man’s rules of economics have limited their usage to niche markets in the 100 years since the discovery of the effect. Recent technological and materials advancements and the rapidly growing demands for electrical energy in the economy of the 21st century, however, are changing the situation. In this talk, we will discuss the physics of and the applications of superconductivity, and how Notre Dame researchers are partnering with scientists at National Laboratories to create high-performance materials that can satisfy the needs of our increasingly energy-intensive society. High Energy Physicists study and seek to discover the fundamental particles and interactions upon which our universe is built. The Notre Dame HEP Group is actively engaged in a major experiment in Europe called CMS, that is rapidly advancing our knowledge of this physics, at the Large Hadron Collider at the CERN Laboratory in Geneva, Switzerland. This presentation focuses on how we detect particles and interactions. A hand-held particle detector, developed at Notre Dame, is brought into the discussion that shows three of the fundamental elements of matter: electrons, photons and muons right in the lecture hall. This type of detector, built by students and teachers, has been placed in high energy particle beams to reveal visually the interactions of particles with matter. It is impressive to see what high energy particles can do…! Life today uses many different types of energy – whether gas to heat your home, electricity to power equipment or fuel for your car, it is a vital component of life within the 21st century. With this integration into our lives comes the opportunity for crisis: what happens when the energy sources aren’t available? Join us as we learn about the impact of energy crises across the world. Whether it’s diesel supplies for the US military or how a lack of reliable electricity affects health of 1.2 billion people across the world, how does a physicist engage in this global dialogue? Come and hear about the issues and solutions being implemented by US military and Ugandans to solve their own energy crises. Following the talk, join us in the Jordan Hall Galleria to get hands on with small scale energy education demonstrations! People are always fascinated about the beauty and complexity of the night sky. However, our ability to see further, fainter, and in greater detail is limited by our own eyes, and that is one of the main motivations why instruments such as telescopes were invented. In this presentation we will take a journey around the world, and see where (and why) large telescopes are built, and all the implications these have in our understanding on how the Universe works. Philosophers and physicists have long struggled with the question of what meaning to ascribe to the concept of “nothingness”. In physics, the vacuum of spacetime is as close as we get to nothingness, yet the vacuum is a dynamic and exciting arena in which the laws of nature unfold in surprising ways. In this talk I will discuss what we know, and don’t know, about empty space, including the special roles played by Higgs bosons and gravitational waves in helping us probe this mysterious nothingness. In this presentation we take a step back from the fundamental question of the universe and the origins of the elements but look at the utilization of the scientific techniques that have been developed as side product of this effort. The talk will concentrate on a new range of applications in nuclear physics that became known as archaeometry, the analysis and dating of historical and archaeological materials. The range of applications from art to art forgery will be demonstrated on a number of examples in the world of modern art and archaeology. What's your time? Is it warped, crunched, or relative? Join us as we look at space time, real time, and relative time. We’ll do experiments that help us understand how we live time and how this relates to the Universe. While the origins of the light (hydrogen, helium) and intermediate mass (carbon through iron) elements found in our bodies and in our solar system are well understood, the elements heavier than iron present an intriguing mystery. We can tell from the solar system abundances of heavy elements that they were made in hot environments with lots of free neutrons. These conditions are quite strange, however, and where they can be found in the galaxy is still uncertain. Here we will discuss the candidate sites — some of which are within the galaxy’s most violent events: the deaths of massive stars in supernova explosions, and the collisions of two neutron stars or a neutron star and a black hole —and explain how Notre Dame nuclear physicists and astrophysicists are working to resolve this longstanding mystery. Join us for our “explosive” Christmas spectacular as we bring the environments of the planets to Notre Dame! Experience what it’s like on the surface of Mars and just how cold it is on Neptune. And let’s not forget about the inner planets where the sun bakes them to hotter than an oven! With demonstrations and discussion, join us for this event for all ages! We will explore the role the neutrino, a very light elementary particle, plays in nature. The neutrino is a very common byproduct of energy production. Since it is far more penetrating than even xrays neutrinos can be used to probe the deep interior of objects they pass through. Join us for this free younger audience event as we explore the power of electricity and magnetism. Is it magic… or is it physics at work? Following the event, enjoy some liquid nitrogen ice cream! This event includes an Art 2 Science silent auction beginning at 6:30 pm in the Jordan Hall Galleria. No booking is necessary for this event! Galactic Archaeology is a branch of astronomy that aims to explain the formation and evolution of large spiral galaxies like the Milky Way by analyzing the motion and chemical composition of ancient stars. Our Solar System has a strategic location in our galaxy, allowing us to observe and study individual stars and trace how galaxies were/are born. This talk will show how we use the information from stars to understand how the Milky Way formed and to interpret the chemical signature of the first stars born in the Universe. The stuff we are made of: how do we determine the chemical elements in stars and the Universe? Carl Sagan once said: “We are made of star stuff. We are a way for the cosmos to know itself”. What does that mean? How can we know about the physics and chemistry of celestial bodies just by looking at the sky? This talk will show how astronomers decode the light coming from the sky to determine the chemical composition of stars, and how this gives us clues about our own origin and place in the Universe. In 2012, the experiments at the Large Hadron Collider (LHC) announced that they had discovered the last remaining building block in our theory of the subatomic world, the Higgs boson. Is the Higgs the final chapter in the story of particle physics? As the LHC begins a new run at an even higher energy, what kind of discoveries can we expect? In this talk, we consider the possibilities for what might come next at the LHC. The last twelve months have been a bright year for solar system exploration. From landing on a comet to the first high resolution photos of Pluto and Charon, a lot of new information is just starting to be digested by scientists. Join Dr. Keith Davis as he demonstrates just how you get to a comet in the first place, reviews the first guesses at the new geology processes that formed Pluto’s mountains, and looks into just what those weird spots on Ceres are. Evolving from methods and techniques developed in nuclear physics, Accelerator Mass Spectrometry (AMS) is a highly sensitive detection technique developed to search for the proverbial nuclear “needle-in-the haystack”. Using this method, we can identify specific isotopes to investigate phenomena from ocean current flows, to the age of archaeological artifacts, to the birth and death of stars. In this talk, we will explore the research performed in the Nuclear Science Laboratory at Notre Dame. In this talk we will journey across the Universe and into its deep past. Learn how the Universe is a time machine and how Einstein’s theory of relativity helps us to conceptualize the meaning of space and time. Why is the Universe so large? Why are there only 3 large space dimensions plus time? What is cosmic inflation, the multiverse, and why we believe there are parallel universes? What will be the future of the Universe?